I am on a pilgrimage of sorts. Nothing as meaningful as a journey to Mecca, or a trip to the oracle of Zeus, but a pilgrimage nonetheless. I'm traveling to the Southern Hemisphere, 6,700 miles to be exact, to compete in a first-year event, The Pioneer, a seven-day stage race that traverses the Southern Alps of New Zealand. To make my journey even more interesting, I'm racing with a guy I've only ridden with twice before. Fitting to be pioneering a new event, with a new friend, in one of the more isolated places on the planet, right? 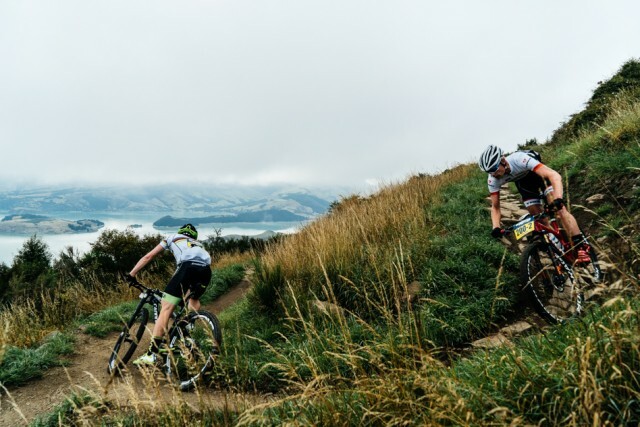 For a first-year event, The Pioneer has created a distinctly challenging route for the teams of two, which shouldn't be surprising if you know anything about Kiwis, a fiercely independent, competitive and tough lot. Because of its remoteness, New Zealand was one of the last lands settled, which is exactly the pioneering spirit that Dave Beeche, CEO and Event Director, wanted to honor. When asked about his vision for the event, Beeche said "I wanted people to venture on a journey into the unknown where they will test their physical and mental limits, as this is what defines true adventure." The seven-day journey through the Southern Alps will, indeed, do just that, as it traces a serpentine 340-mile line from Christchurch, on the east coast, to Queenstown in the south west. The route takes in some of the most spectacular highlights of the Southern Alps, including the Port Hills of Christchurch, Aoraki/Mt Cook (NZ's highest mountain), Lake Pukaki, the Ohau range, Pisa range and Snow Farm, and packs in a whooping 50,000 feet of vert along the way on everything from gravel road and farm tracks to single and doubletrack. With the exception of the opening prologue, there isn't a day shorter than 38 miles or with less than 5,000 feet of climbing. After a quick stay in Auckland, Andrew and I, along with his shop mechanic Jay, loaded up his 1974 classic Crusader trailer and queued up for the three-hour ferry ride across the Cook Strait. It wouldn't be an adventure if everything was smooth sailing, right? A strong southerly and 10 to 16 foot swells battered the ferry as we left the safety of the Wellington Harbour, and just like that I was on the back deck losing my lunch. I now find myself in Christchurch, the largest city on the South Island. The historic town was rocked by a series of deadly earthquakes in 2011 that left much of the city center, and outlying neighborhoods, in ruins. Unfortunately, the scars of that tragedy are still quite evident as construction cranes dot the skyline, rubble piles mark the spots where majestic brick buildings once stood. Many homes and businesses are still condemned. Despite this, there is a dogged resilience and sense of hope evident in both the people, and downtown businesses, that have, literally, risen from the ashes. 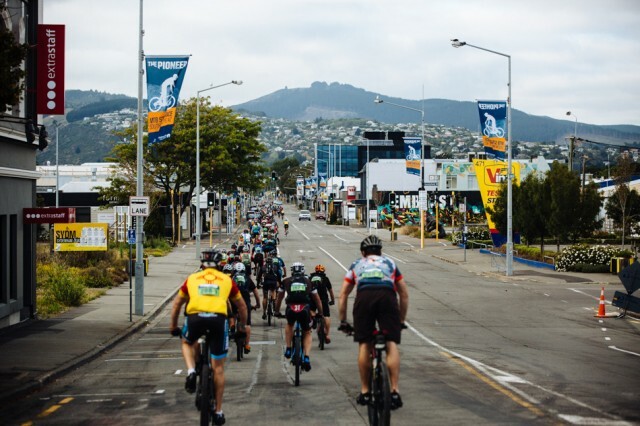 The Pioneer chose Christchurch as its starting point to honor that resilience, that determination and drive, because that's exactly what riders will need if they hope to complete this event. Speaking of racing, today's prologue, at 23 miles and with 2,900 feet of climbing, is the shortest stage of the event and began with a neutral roll out from Hagley Park to Ashgrove Terrace, where the teams of two were sent off in 20-second intervals. Nothing like an intense, basically all uphill time trial to blow the pipes out and get to know your race partner, eh? 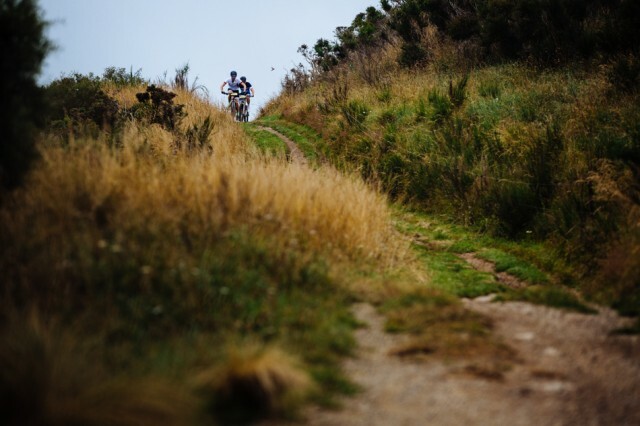 We were 48th in the queue of riders and when the race official sent us off, we immediately began taking short, intense pulls on the 2 miles of undulating tarmac that wound out of town to the singletrack and onto the day’s climb. By the time we'd crested the climb, I was snotting myself, which is always a good sign, and we'd pulled back a number of teams in the 40+ category. The final section of the stage rocketed us down a purpose-built roller coaster luge run called Flying Nun and deposited us at the finish line. Considering this was my first "dance" with my partner Andrew, I'm pleased to say that we won the stage in our 40+ division, which means that we should be cutting a pretty good rug the rest of the week. But as with any epic adventure like The Pioneer is sure to be, one that will test bike, body and mind, anything can happen, so be sure to check back for more updates.